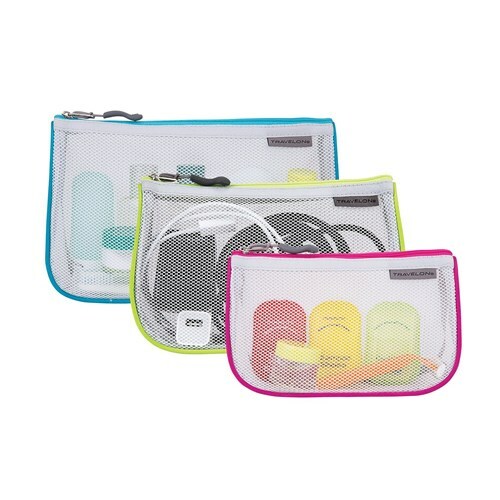 The Travelon 43108510 is a set of 3 piped pouches, which is perfect option for packing and organizing small items. The mesh front provides visibility and the zippers differentiate each pouch sizes for compact storage. 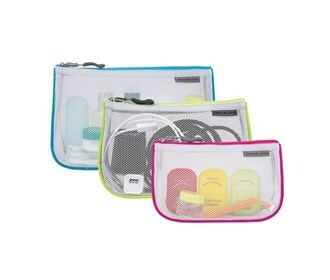 The Travelon Set of 3 Assorted Piped Pouches-Gray has many exciting features for users of all types. See the Travelon Set of 3 Assorted Piped Pouches-Gray gallery images above for more product views. The Travelon Set of 3 Assorted Piped Pouches-Gray is sold as a Brand New Unopened Item.